Linda has always had a passion for sport, health and fitness. She is super competitive and loves a challenge. As a child she loved her cross country and sports carnivals. Now with 3 marathons, 12 half marathons many city2surf’s and other fun runs under her belt she has the miles in her legs to take anyone to a better fitness level! 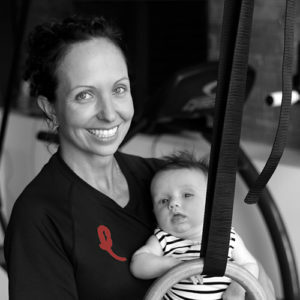 As a mum she has a new passion for pre and post pregnancy health and fitness holding Mums and Bubs classes with the sole aim of “feeling better” with so many changes to the female body after birth.